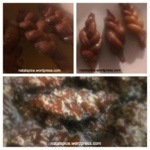 This weeks recipe for snack Sunday is Koeksisters. Koeksisters are basically South African doughnuts, and most commonly there’s is two types. My grandmas recipe is a fusion of the more traditional Afrikaner version, and the spiced cape Malay type. 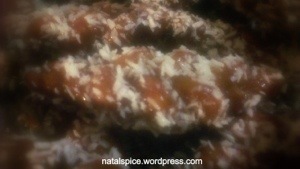 This recipe uses a similar syrup used in the Afrikaner variation, but is also covered in desiccated coconut, like the Cape Malay variation. 1. 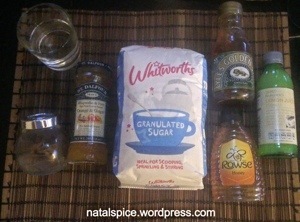 Place all the ingredients in a pan, stir and gently heat till sugar dissolves. 2. Increase heat and simmer syrup, till it reduces to half it’s original volume. 3. 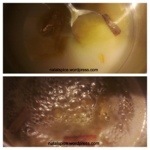 Remove from heat, strain into a bowl and leave in fridge to cool, to use later on. 1. 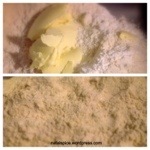 Put all the dry ingredients into a bowl, and add the butter, using your fingertips to create a fine crumb texture. 2. 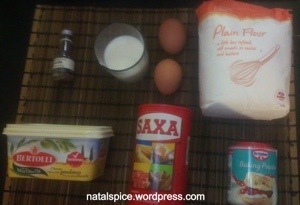 Add the eggs, vanilla essence, and milk to the mixture, mixing till a dough is formed. 3. Tear a teaspoon sized piece of dough and roll into a ball. Divide the ball into 3 and roll into long pieces. 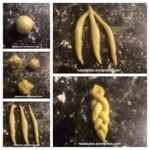 Attach all 3 pieces at the top and plait, and press together at the ends. 4. 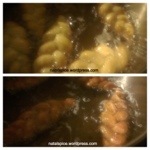 Heat oil, and fry plaited dough, on both sides in small batches until it changes to a golden colour. 5. Soak hot Koeksisters in cool syrup, roll in coconut (optional) and allow to cool.